An icy blast from Antarctica has enveloped the country, but with the cold weather comes extraordinary beauty. 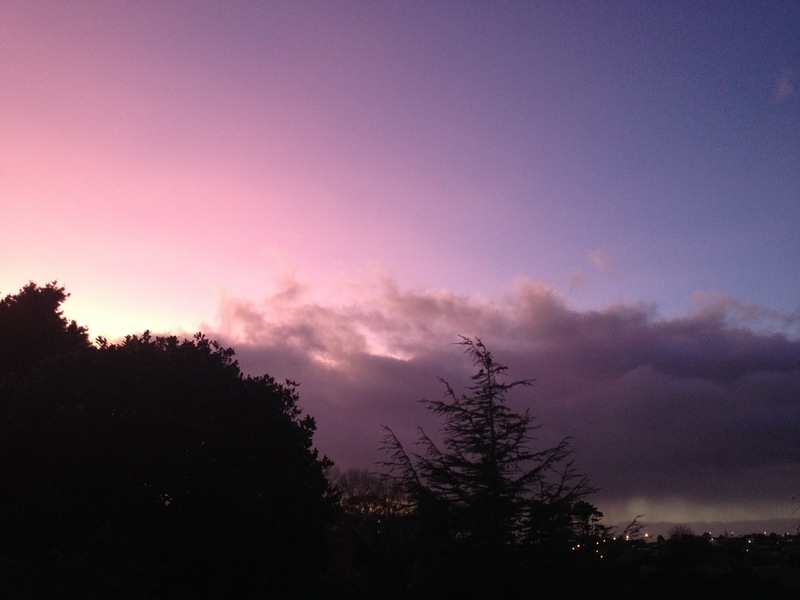 Sunrise this morning was a medley of pink and purple. 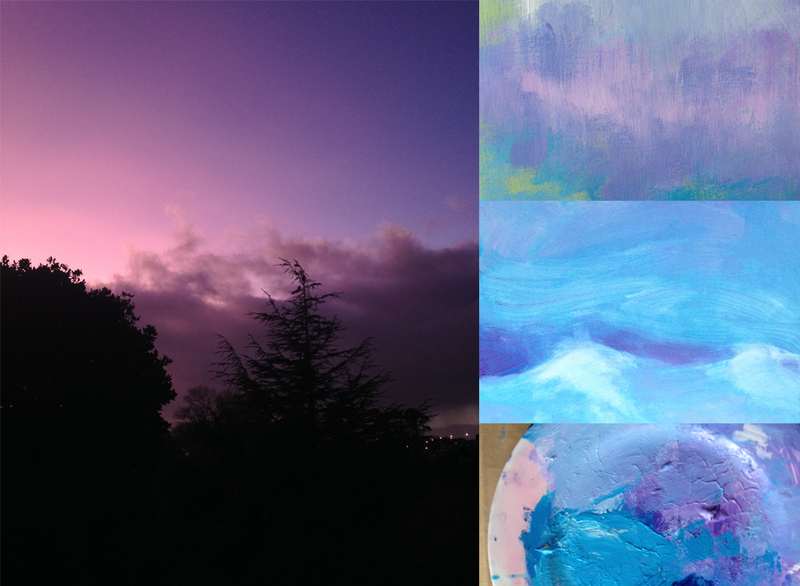 A good time to be painting the soft colours of early winter. 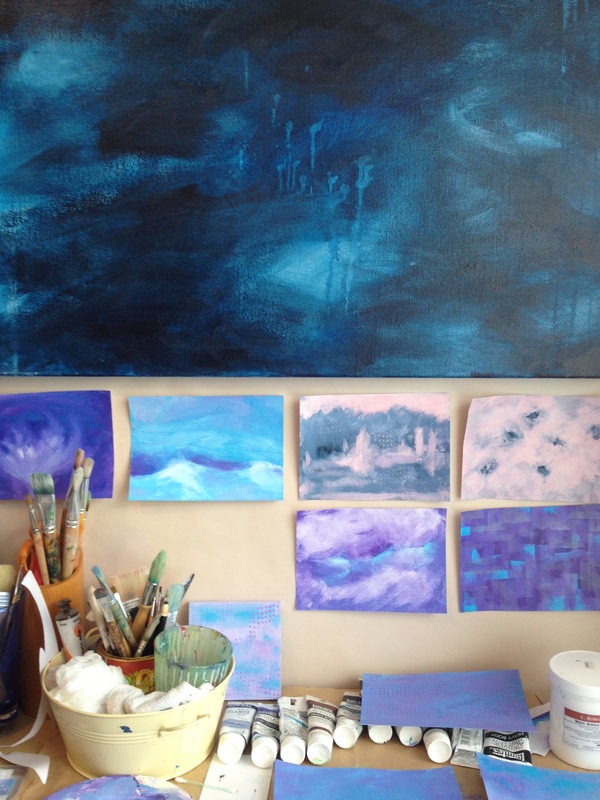 I have been continuing the bright blues of late March but adding soft mauves and deeper shades as the days shorten. The new double glazed windows in my studio have made a huge difference to the light quality and warmth. Feeling very snug as the rain pelts down outside. I have been doing a large number of small painted sketches in preparation for the next batch of paintings. I’m starting to get a very big pile of these, might have to exhibit them one day. The large blue painting above my desk is an earlier work and unusually has never been titled, perhaps the time has come to remedy that. Here’s another photo of that beautiful showery dawn today.